Photos below. I made the base plate out of a scrap of cherry and purchased a clear cover that was intended for some sort of collectible. Works well and looks good. Two black buttons on top-view photo are used to set the clock’s time. 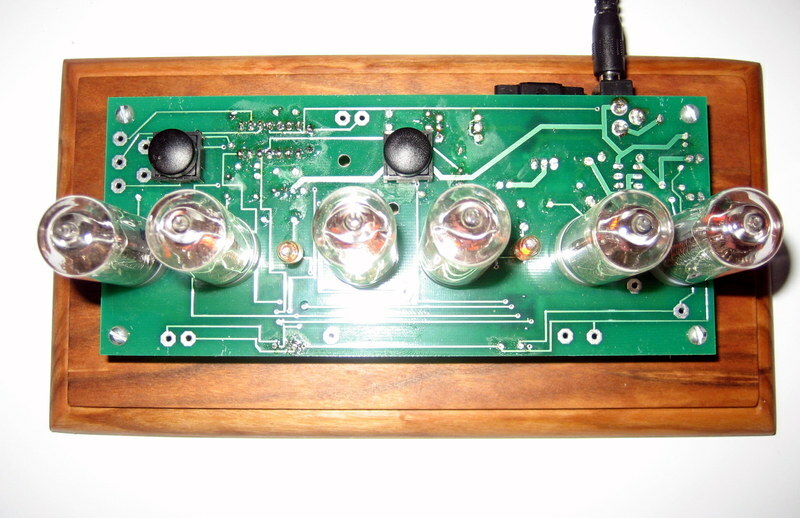 Posted on September 23, 2006, in Gadgets and Gizmos, Nixie. Bookmark the permalink. 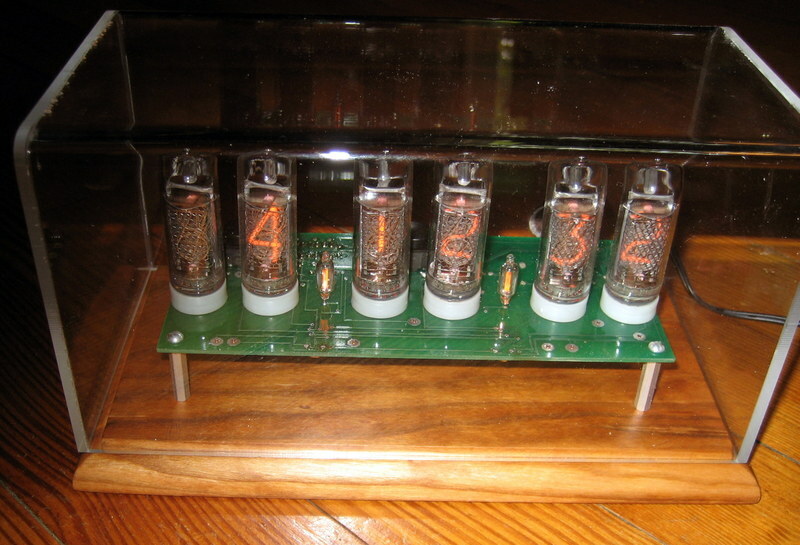 Comments Off on Nixie Clock is complete!.